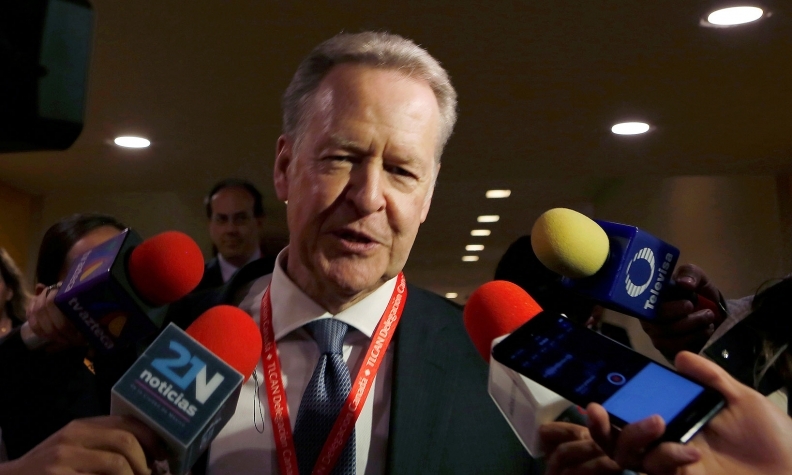 The United States needs to show more flexibility toward resolving ''core'' issues if it expects to get an agreement on the controversial trade deal sometime this spring, before looming political uncertainties set in, Canada's chief NAFTA negotiator said. ''There's obviously some significant gaps on many issues,'' said Steve Verheul, who was in Ottawa Wednesday for a labour-focused roundtable discussion on the state of Canada-U.S. trade. Verheul reiterated the sticking points: the U.S. positions on autos, a proposed sunset clause, access to U.S. government procurement and the American desire to opt out of a dispute resolution chapter. Verheul's blunt assessment appeared to fly in the face of the more optimistic note U.S. Trade Representative Robert Lighthizer tried to sound earlier Wednesday during an interview with U.S. broadcaster CNBC. ''I'm hopeful. I think we are making progress. All three parties want to move forward,'' said Lighthizer, the top U.S. trade official. ''An agreement in principle to our understanding means some sense of direction on the big issues, the important issues. We have not seen that from the U.S. so far,'' Verheul said. In an effort to get a speedy deal, the U.S. appears to have backed away from one of its most contentious demands and is no longer insisting that 50 per cent of cars be made in the U.S., and is now floating a different formula based on autoworker salaries. In the early rounds, the Americans angered their Canadian and Mexican counterparts with a two-pronged proposal on NAFTA’s rules of origin provisions: on the one hand, drastically increasing the percentage of North American parts a car must have to avoid a tariff, while on the other hand insisting that half the parts be American. Other countries called that a non-starter. Now, according to sources familiar with the latest developments, the U.S. has offered to replace the 50 per cent requirement with another idea designed to encourage American manufacturing: a formula that credits car companies for paying more than $15 per hour. That would, by definition, favour manufacturing in the northern part of the continent because Mexican auto workers' wages average only a few dollars per hour. Foreign Affairs Minister Chrystia Freeland wouldn't comment on the specifics of the auto portion of the negotiations, but she gave Lighthizer and his team credit for tabling creative proposals that have pushed the talks forward. ''The rules of origin in autos has always been both the single most complex issue in the negotiation ... probably the single most economically significant part of the agreement. So it was always going to be the single hardest part of a big job,'' she said in a conference call from South Korea on Wednesday night. The democratic calendar means that a deal must be completed by June in order to allow ratification votes in 2018 -- before the current Mexican government leaves office, and before the midterms potentially reconfigure the U.S. Congress. The Trump administration fears a failure to obtain an agreement within several weeks would mean talks would drag into 2019 and into a more uncertain political environment. But the reason for the U.S. hurry is spelled out in its own domestic trade law. The law sets 195 days for consultations on a new trade agreement before lawmakers can vote. It so happens that the absolute drop-dead date for starting that 195-day clock, before a new Congress takes office on Jan. 3, 2019, is June 21, the first day of summer.